Step It Up LLC was established by professional dancers and actors, who understand the difficulties of the entertainment industry. They were inspired to use the wisdom that they have gained over the years, and are now happy to be able to pass it on to those lucky students that get this "once in a lifetime" opportunity. The SIU Directors all traveled from around the world to LA and have made their mark in the entertainment capital of the world. These entrepreneurs and mentors saw a void in programs that didn’t educate the important business end of the industry. So they sought out ways to integrate talent cultivation and self marketing for artists to have more control of their own success. With their diverse experience and talent, SIU teaches the cutting edge dance techniques, styles and professional skills to make you a hit! Our classes are taught by elite and experienced professionals that not only show our students "the ropes" of the industry, but also how to perform and make their performances everlasting and impressive. We are talking about how we can "STEP IT UP"—taking risks and allowing the talent and industry business knowledge do the walkin'. Whether you are looking to find out where this road can lead you or to pursue dancing as a career, let our staff introduce you to what "Stepping it Up" is all about. Hannah has had a successful career as a professional dancer and choreographer based out of Los Angeles, California. As a Choreographer and Dancer she has worked with numerous award-winning musical artists including Gloria Estefan, Daddy Yankee, Donnie Osmond and Brian McKnight, just to name a few. Also, she danced with the opener for an Alicia Keys tour. She produced a fashion show and look book for Will.i.am of the Black Eyed Peass at Magic in Vegas as well as performed on several television shows including The Today Show ,Live with Regis and Kelly,The Vibe Awards, The Latin Music Awards, and the Billboard Awards. As a teacher, Hannah’s students have earned jobs performing with many of music’s hottest artists including, P-Diddy, N.E.R.D, Ashley Simpson, and Shakira, as well as win numerous group and individual awards at national dance competitions all over the country. Through dancing and choreography, Hannah has traveled to Africa, Asia, Europe, the Caribbean and South America. Hannah was a judge at the movie premiere for “Step Up 2” in Miami and is now a judge and master teacher for numerous dance studios and dance competitions. She has grown into an internationally recognized dance choreographer and transforms her creativity, passion and enthusiasm as co-director of Step It Up! Kelly first got her start in the entertainment industry through dance. Her touring credits include Stellar Award Winning Gospel Singer Donald Lawrence, R. Kelly and Jay-Z to name a few. She has a live event and commercial history with products such as Kroger, Lady Footlocker, Adidas, McDonald's, Hooters, Von Dutch, Crunch Fitness, Iphone's Square and was a Jr. Olympic Gold Medalist in the category for dance. She also had the pleasure of teaching at many Chicagoland studios, including Lou Conte's Dance studio, and several outreach programs including the Boys and Girls Club. She branched out into acting and received her B.A. at Columbia College, Chicago for Dance and Theater. 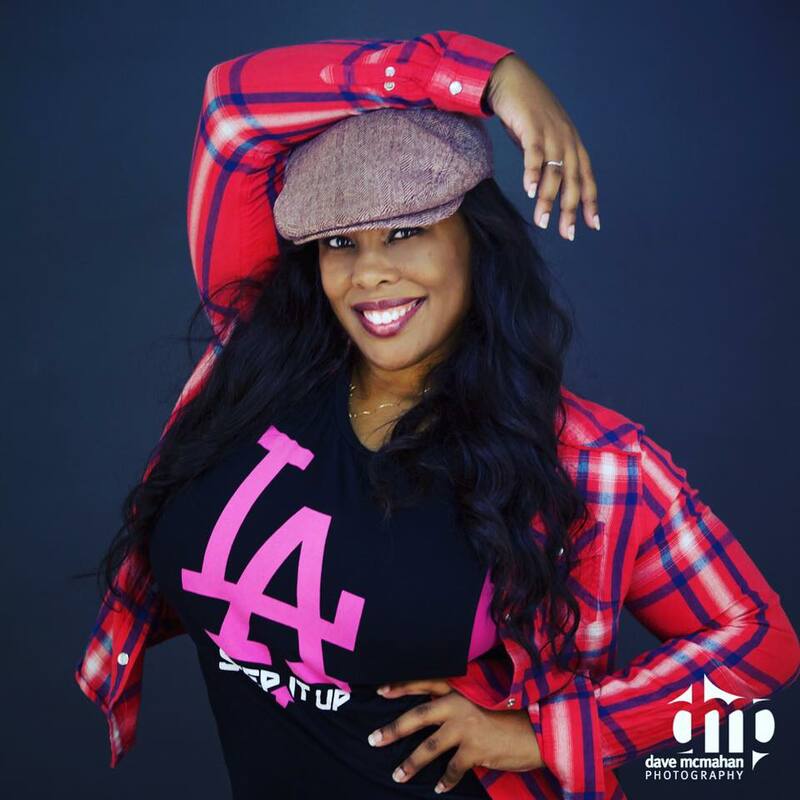 Once arriving in Los Angeles she landed a role on the Emmy-Nominated Children's show, Hip Hop Harry, where she plays Pinky, the fun and hip girl that the kids look up to. It's a dream job where she's able to act, dance, and be a positive influence for young people. You can also catch her in between some of your favorite shows as she pops up in a commercial from time to time. You can also catch her this spring on SyFy Channel playing lab technician Graham in "Age of Dinosaurs"
While acting and dancing in Los Angeles she picked up another skill, making her a triple threat... Hosting. She is currently hosting and co-producing for NBC radio's "Live With Aaron and Kelly" She has interviewed stars such as Gwyneth Paltrow, Howie Mandel, Dwayne Wade, Jon Voight, Stan Lee, and Dane Cook, to name a few and recently hosted "Mitzvah Schmitvah" at the Jon Lovitz club. She is excited to be stepping it up in her own career as well as helping others do the same! Let's STEP IT UP together! Carly Sunae is an actress, dancer, model, and fitness professional. With her vast experiences as an Artist, including her B.A. in Theatre and Dance and a B.A in Exercise Science being a national certified professional in the Health and Fitness Industry, she believes wholeheartedly in helping and sharing knowledge and life. Coming from a small town and moving to the big city of hopes and dreams, she was inspired to create such a program to be able to help direct and share expertise on life and career lessons she has learned. Carly proudly believes Step It Up is a great program that offers unlimited knowledge, exposure, and growth in both the entertainment business world and personal development and awareness in an intimate, warm, and secure environment. She continues to push her fitness profession looking for innovative ways to get people moving and finds enjoyment in movement, such as dance. She is always looking for ways to "Step It Up" and help you do the same!